in particular needs to be watered once in a week so owners need not worry that it would easily wither. Also, scientific studies proved that indoor plants can actually reduce the pollution from dust and other particles in your home. On the other hand, a bonsai plant that is usually exposed to sunlight should be watered once a day or according to its requirements. You should observe the soil in your bonsai plant once in a while to ensure that it would not become dry. You should also note that you need to water the bonsai plant gently or leave its soil undisturbed at the very least. The water requirement from one bonsai plants can vary so adjust the water you put in accordingly. In addition, the demands for taking care of indoor plants present a different challenge from taking care of outdoor plants. In an indoor plant, you need not worry about exposure to the outside environment like snow, extreme heat, or rain so your bonsai plant would remain well protected inside your home. Note that bonsai plants can also be grown outdoors but many people prefer to grow them indoors since it would make their home more attractive. Bonsai plants are also more vulnerable to extreme elements when they are left outdoors, for example, because its roots retains moisture, the plant can easily freeze because of the water content it retains. However, it would be best if you set aside the time to expose your bonsai plant to the morning or afternoon sunlight. It should also get at least four to six hours exposure to sunlight per day. Fertilizers are also a necessity for your bonsai plant to grow healthy since it grows in such little soil. On this note, ensure that it receives the amount of fertilizers it needs, liquid fertilizers are especially recommended. Spraying a water soluble fertilizer on your bonsai tree once every two months would also help your bonsai tree retain its beauty. 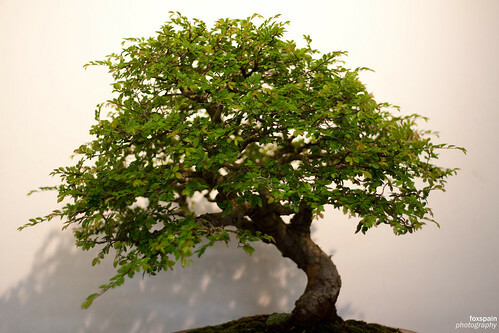 Finally, most bonsai trees that are widely available already had their training. All you need to do in this case is the periodic trimming so that your tree would remain miniature. You should not trim all the new growth in your tree because leaving some new growth is necessary to keep it healthy. Taking care of your indoor plants properly would ensure that they will remain healthy and beautiful. The tips stated above cover only the basics on taking care of your indoor bonsai tree but it would surely help in growing a more attractive and healthier indoor bonsai tree.